Cold Outside? Bring the Barbecue Inside! It’s brutal out there! What’s a barbecue lover to do when the grill outside is covered in snow? Simple, bring the party inside! 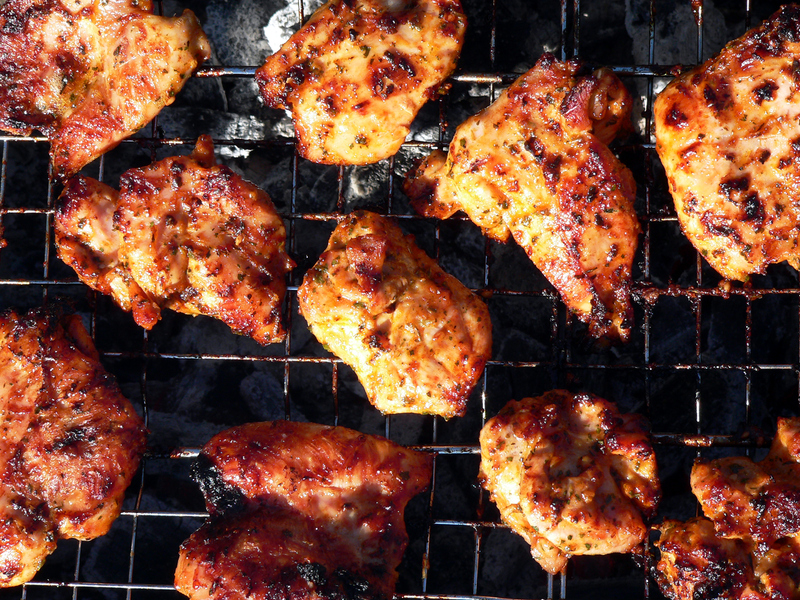 We’ve gathered some delicious barbecue ideas that will have you hosting a summertime or Super Bowl barbecue, whatever the weather looks like outside. 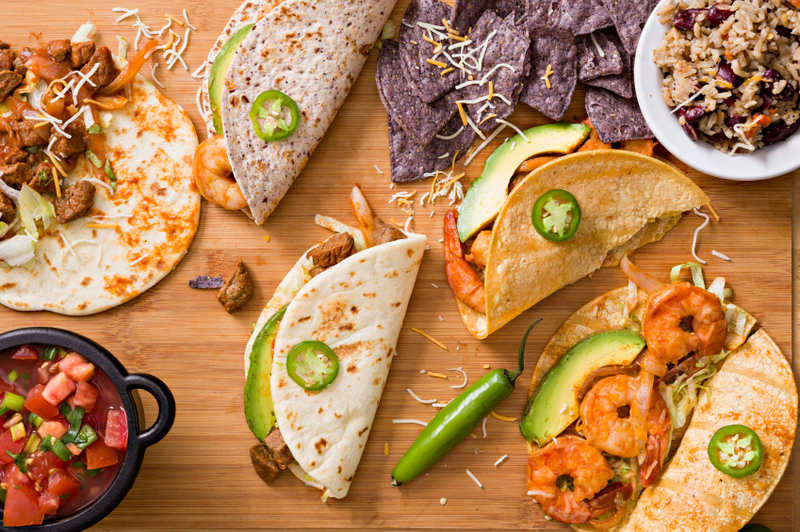 All of these recipes would make mouth-watering pairings with both Purple Cowboy Tenacious Red and Purple Cowboy Trail Boss Cabernet. 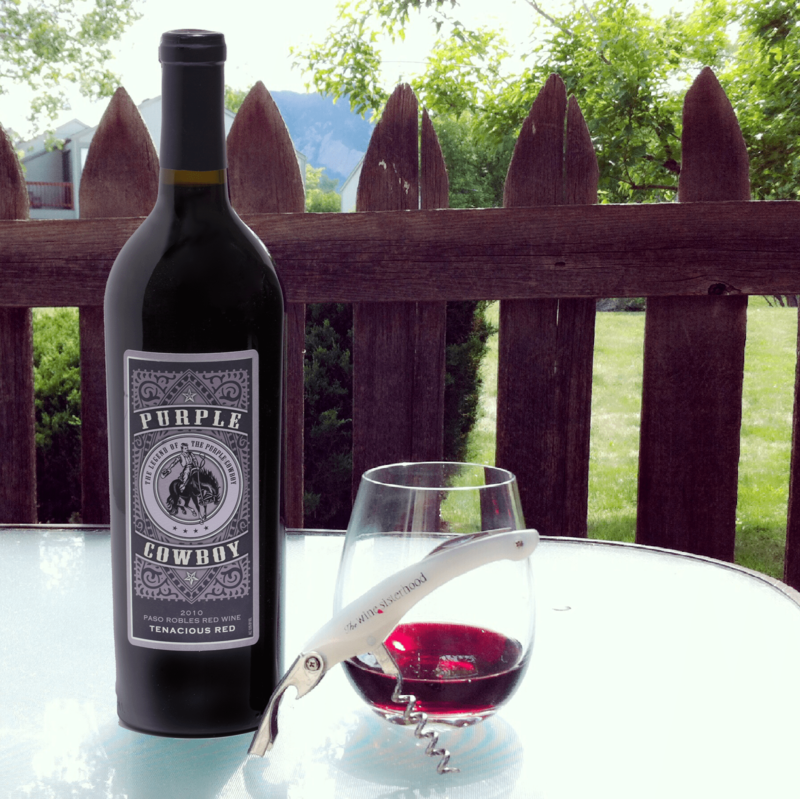 Speaking of Super Bowl… Remember to stock up on Purple Cowboy Wines today in the Wine Sisterhood Wine Shop! And bonus: order a case or more, shipping is only $.01 – just one penny! How about a classic rack of ribs? We’re loving this recipe for Oven-Baked Barbecue Ribs from the Kitchn. When you can’t wait for Spring to arrive, turn on the oven and prepare a meal that will have you forgetting all about those frigid temperatures outside. 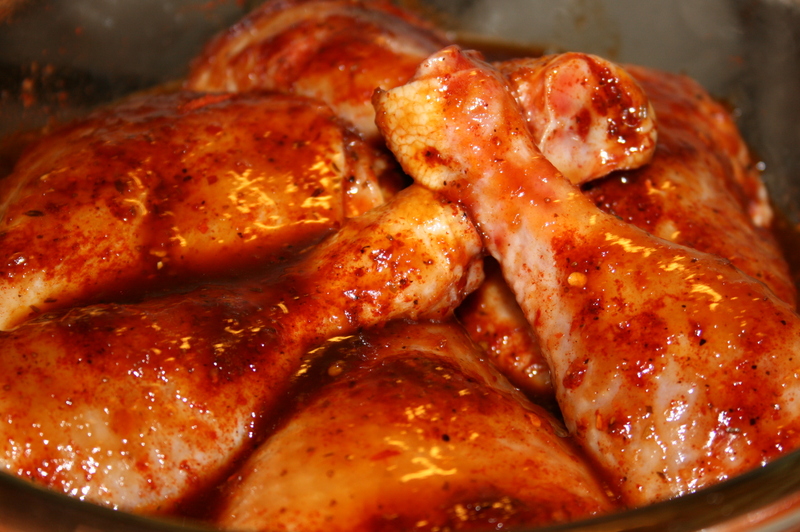 Or try your hand at a batch of barbecue chicken, baked to moist, juicy perfection. 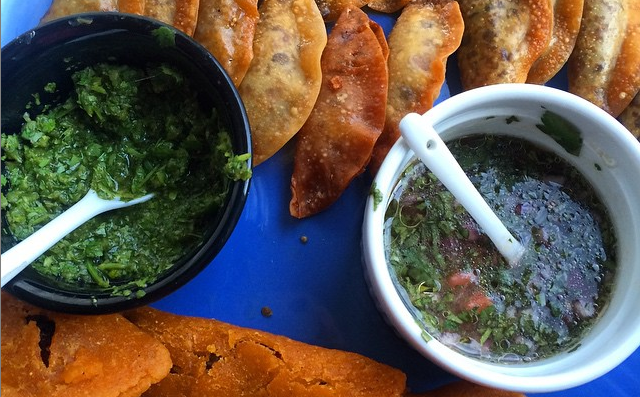 This recipe from Heather Likes Food is simple: marinate, season, bake and enjoy! Then take a trip to the South with pulled pork topped with an Eastern North Carolina-style barbecue sauce with this step-by-step recipe from Taste of Southern. And here’s a recipe perfect for Super Bowl entertaining: Corky’s Oven Barbecue Short Ribs from Tori’s Kitchen. Be warned: they have a serious kick! 1. Talk to your butcher. They’ll lead you to the freshest cuts of meat and may also have a few tips for preparing it in the tastiest way possible. 2. Light the grill. The pros will tell you that cooking over wood coals is key. If your grill isn’t equipped to burn wood, charcoal is your next best alternative. When using charcoal, remember to use the coals once they are burned through and red hot to avoid any unpleasant flavors that tend to accompany cooking over charcoal. 3. Simple flavors. 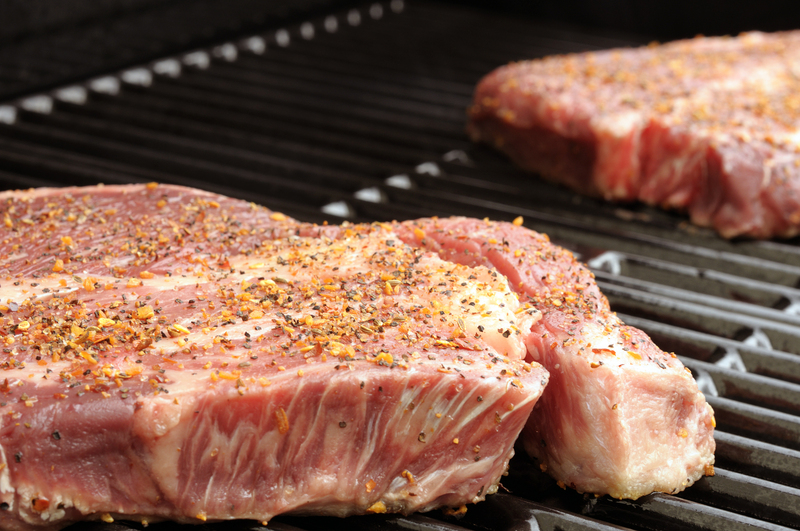 Keep it simple when seasoning your meat. A nice seasoning salt and some fresh ground pepper will do.Kick up the flavor with a batch of bright and tangy chimichurri sauce to serve on the side. 4. Bold wines. 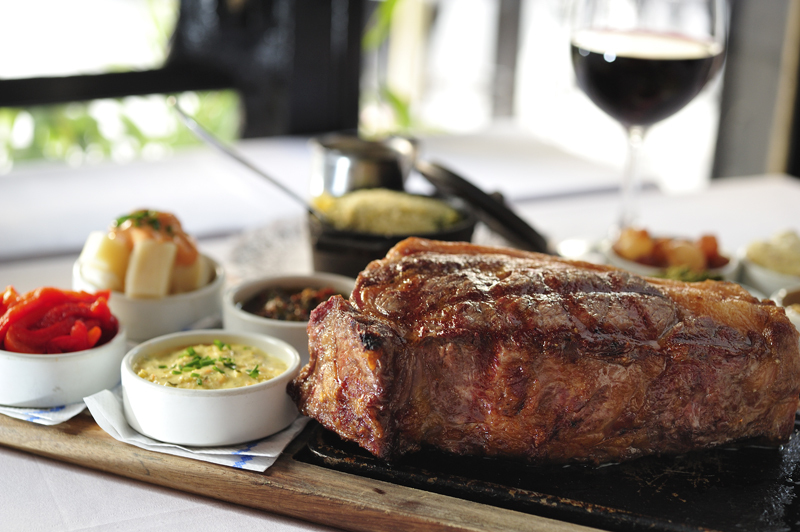 Bold meats call for bold wines. 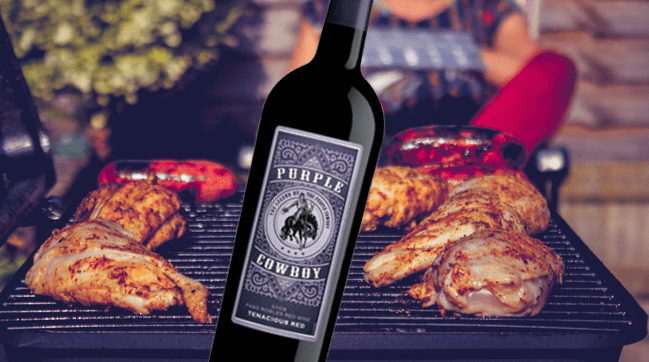 Serve a glass of Purple Cowboy Tenacious Red or Trail Boss Cabernet with your meal. 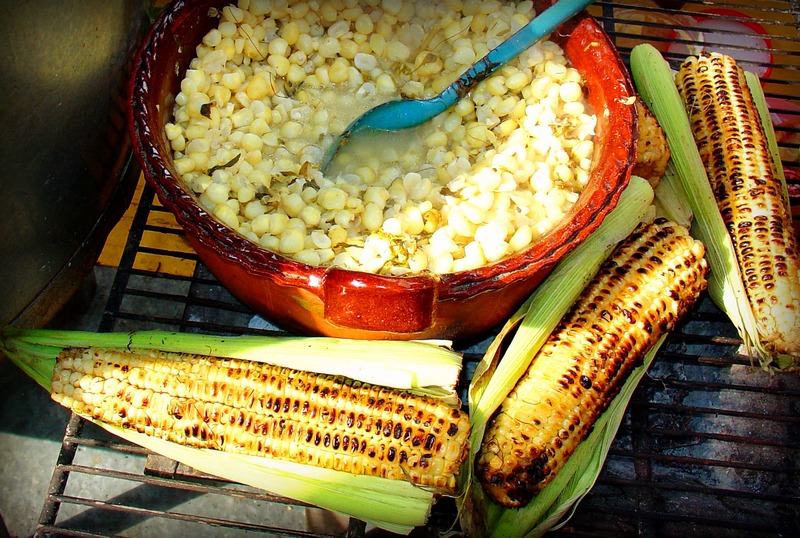 Both pair beautifully with grilled meats. It’s hot out there, far too hot to turn on the oven, and the great outdoors are calling (even if it’s only as far as the back yard). 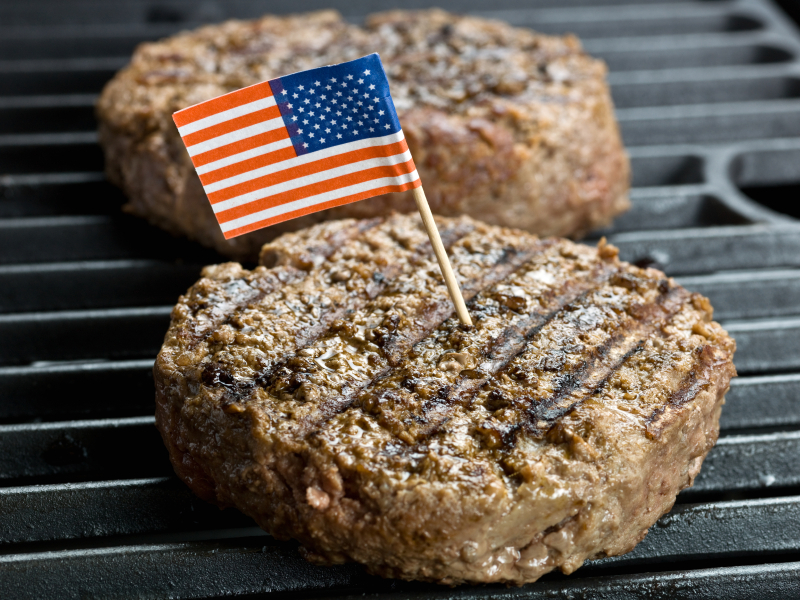 Not to mention, the Fourth of July this Saturday provides the perfect opportunity to flex those grilling muscles in preparation for more summer cookouts and holidays. May we present, one of the tastiest grilled sandwiches, that just to happens to pair deliciously with a glass of Purple Cowboy Tenacious Red (recent winner of the Chairman’s Award ‘Unanimous GOLD’ and Best of Class at the Riverside International Wine Competition!). Let them know just WHO grilled those steaks with a custom steak branding iron. This set of wood chips gives him the option of infusing distinct and natural flavors of mesquite, hickory, or apple into his barbeque fare. They work for both gas and charcoal grills! A regular after-hours griller? 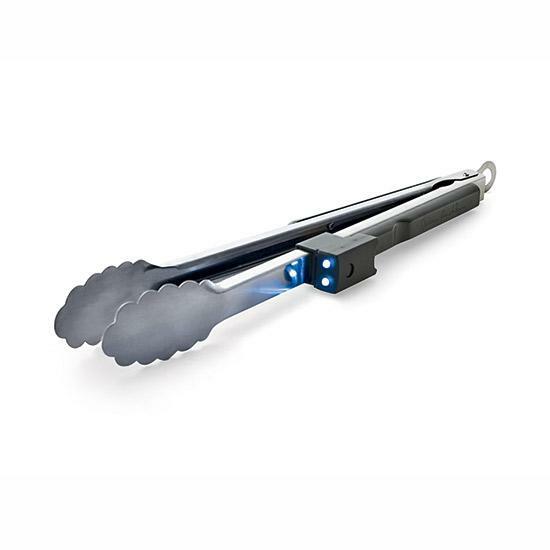 Pick up these grill tongs with built-in LED lights. Now we’re cookin’! 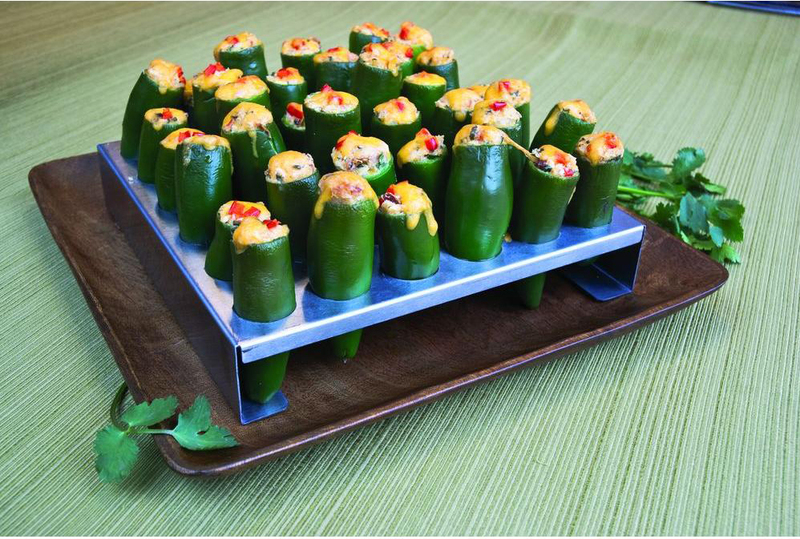 This summer is sure to get a whole lot hotter with a Jalapeno Poppers Grilling Rack. Yep, poppers, right on the grill. Genius! 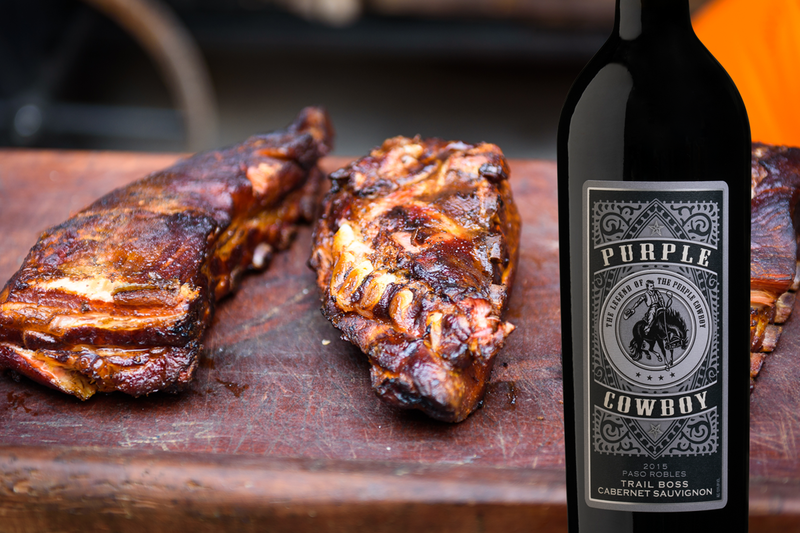 And don’t forget that bottle of Purple Cowboy Tenacious Red or Trail Boss Cabernet Sauvignon – the perfect pair with just about any meat you’re grilling up. Find both in our online wine shop or fill out this form here and our Wine Sisters behind the scenes will help find it at a store near you. Summertime and the Grillin’ is Easy! What else do we love to grill? Hot dogs! We came across this hearty hot dog on Simply Recipes and couldn’t wait to fire up the coals. If you love ALL of the toppings, with solid helpings of hot dog, mustard, ketchup, cheese, onions, sauerkraut and bacon INSIDE of the hot dog, this one’s for you. What’s the best thing to grill? Burgers! This recipe for a Western Bacon Cheeseburger covers all of the bases, savory bacon, beef, cheese, and of course onion rings. For a lighter meal, we found the most delectable grilled tacos on the Food and Wine blog. Bring out the tomatillos, avocados and chorizo, this southwestern taco will fire up your taste buds! 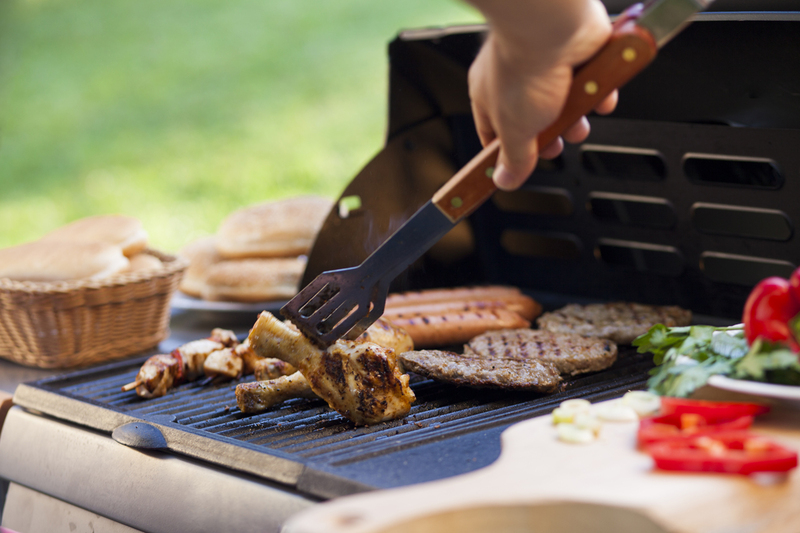 Now light the grill and head outside for fun in the sun this weekend!